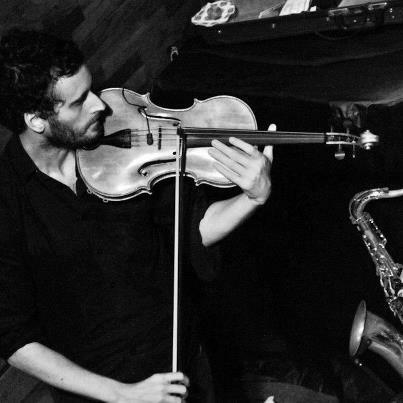 Benedict is a London based violist, specialising in contemporary music and improvisation. He performs and records throughout the UK, Europe and Asia as a soloist and ensemble performer with improvisation groups, new music ensembles, electroacoustic groups and full orchestras, in many of the worlds leading festivals and venues. As a collaborative artist, he works with individual composers, modern dance and theatre companies, visual & sonic artists and filmmakers. Benedict also works as a composer, with work for several award winning art-house films being heard at international film festivals including Venice, Rotterdam, London, Tokyo & Toronto.